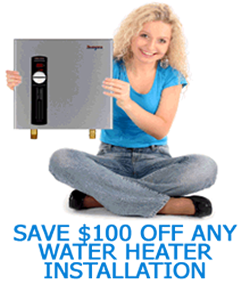 Are you in need of a reliable water heater service and you live in the Sugar Land area? If so, Sugar Land Water Heater is the perfect company for you. We are a reliable service that serves Zip Codes 77498, 77479, 77487, 77496, and 77498. 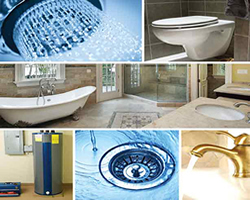 We offer a multitude of services, including our 24/7 emergency plumbing service. You may be considering a tankless water heater for your home. These units cost more up-front, but offer many advantages. They take up very little space, can be installed on a wall or virtually anywhere within a home, and they also never run out of hot water. The technology precisely controls the temperature of your water, so you are less likely to have random temperature spikes. 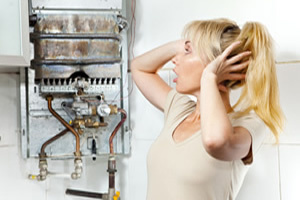 Sugar Land Water Heater is a 24/7 plumbing service that offers installs and repair. 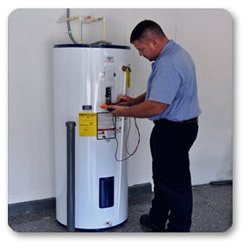 Once you have decided which water heater is right for you, call us and we can set up an appointment to have one of our many mobile technicians come to your home to install it for you. Another option is going with an electric water heater. These systems heat water and hold it in an insulated tank for it to be used throughout your house. They are able to be completely emptied when needed, and can be used by many outlets (faucets, hoses, etc.) simultaneously. However, these models do run out of hot water, and when empty, you will have to wait until it reheats before you can use hot water again. Not sure which water heater is right for you? Call Sugar Land Water Heater and we can pair you with an experienced technician who can recommend the perfect product for you. Your water bill seems to be getting higher each month and you don’t understand why since you haven’t increased your water usage. The most likely cause is a Water Leak which can sometimes be slow and not easily noticeable. If you call us we can investigate to see where the leak is coming from and help you fix it. Our plumbers can unblock your Sewer Line if the system is not draining waste from your home properly. There are many reasons that can cause this problem including a broken or damaged water pipe in addition to large objects obstructing the drain. We have the right tools to identify the problem and help you solve it so that you can experience a healthy home environment.